A CDC/SBA 504 loan can be a valuable source of long-term, below market, fixed rate money for a small business. There are set specifications that dictate where and how you can spend any of the money that you receive from this loan type. They work by combining a loan from a non-profit Community Development Corporation (CDC) with a loan from a bank lender to create the perfect investment for small businesses. It is, in effect, two loans combined. By choosing to partner with a CDC, lenders are better able to offer a loan while minimizing their own collateral risk. Here’s everything you need to know about this type of loan. 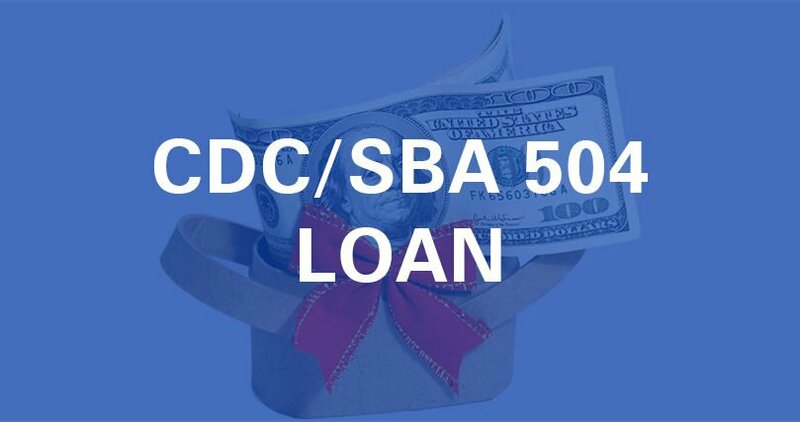 What can you use a CDC/SBA 504 loan for? Buying land or making improvements to existing land already purchased (including lighting, grading, parking, and utilities). Constructing or modernizing existing business premises. In some cases, you may be allowed to use your loan for refinancing debt as part of your business growth. You cannot use a CDC/SBA 504 loan to buy inventory or for debt consolidation. It can also not be used as working capital. Who is eligible for a CDC/SBA 504 loan? A business that is already operating. Have a lower net worth than $15 million, with a net income of the last two years less than $5 million. Able to prove your need for the loan. Financial businesses such as banks and finance companies. Businesses with more than a third of their annual gross revenue coming from gambling. What is the lending criteria for a CDC/SBA 504 loan? The demand for your product or service. Your previous earnings and your projected cash flow for the future. Whether you are likely to be able to pay back the loan. The likelihood of your business being a success. Community development: If your business is going to improve, diversify, or stabilize your local community, you may be able to borrow more money. If you are going to be stimulating the development of local businesses, then your restrictions on loan amount may be lifted. Public Policy: If your business is expanding on its exports, you may be able to borrow more. You will also be eligible for higher borrowing amounts if you are female and you own and control your own business. Veterans and minorities hoping to borrow through a CDC/SBA 504 loan scheme will also be exempt from any financial limitations. Will I need collateral for a CDC/SBA 504 loan? In all cases, the purchases that you make with the money you receive will be classed as your collateral. If you have used your loan for equipment financing, that equipment will, therefore, become your collateral. In most cases, you will also need to provide a personal guarantee of at least 20% as well. This year, the US Small Business Administration extended the time required to repay a CDC/SBA 504 loan. You can apply to have a repayment option of up to 25 years. This is the first time in more than 30 years that there have been changes to this loan scheme, with previous applicants being required to pay back the full cost of their loan in either 10 or 20 year terms. The SBA has created a special fund used solely for these longer loan durations, so there remains a full accessibility option for those small businesses that are looking at their application. Small businesses very often overlook CDC/SBA 504 loans. The SBA (7a) loan program is much more popular, but that may change with the new 25-year loan repayment option. They are the better choice for those hoping to improve the local business ecosystem. With the many benefits afforded by the CDC/SBA 504 loan, it might be time that you looked at ways that your business can use this option to further its growth.